Superfly aims to bring modern and slick navigation for WordPress users. Plugin allows you to generates vertical push/sliding/static navigation, icon toolbar or fullscreen menu on your choice. Superfly creates opportunities to make navigation much easier and user-friendly both on desktops and mobiles. It brings the concept of off-canvas vertical menu that proved itself on mobiles now shines on desktops too. This is a very elegant and powerful plugin. You can make a stellar impression on your visitors to create trendy menus. With a mobile centric, responsive design you can add swipe functionality and multi level menus that work awesome on mobile devices. It is a versatile plugin that can build clean simple menus or luxurious mega menus. Give your menus the look and feel of a video game rather than a static website. Users will really enjoy using Superfly. You can also check out a more in depth review on our post — Build Fly Out WordPress Menus With Superfly. WP AMP is a premium WordPress plugin for easy of the newest Google technology called Accelerated Mobile Pages (AMP). It works for all WordPress websites, including those which use WooCommerce as the main online selling tool. 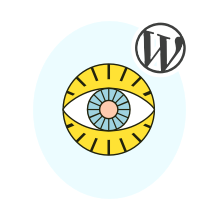 The plugin allows you to go mobile in just a couple of clicks within your WordPress website’s dashboard. WP AMP gives you unique opportunities to include all content types and archives to the mobile version of your website, embed mobile optimized images, videos, audios and iframes, take full control on standard design customization and create a totally new one, track visitors with Google Analytics, Google Tag Manager, Yandex.Metrika and Facebook Pixel, work with Yoast SEO, All in One SEO Pack, The SEO Framework, SEO Ultimate, and lots of other useful features. WP AMP works for various pages of your WordPress website which need mobile optimization, for example: homepage, blog pages, single posts, categories, tags, date and author archives, search, 404 page, custom post types and taxonomies, WooCommerce shop, products, categories, and so on. RedirectPlus is a pretty simple yet very useful WordPress plugin. It detects users with mobile devices and redirect them to the mobile site with Redirect count chart for different device types. You can also choose whether or not to redirect users with different types of mobile devices. For instance, you can enable or disable tablets redirect simply by means ofthe check-box option. Also there are options for various platforms redirect: iPhone, Android, Windows Phone. RedirectPlus allows you to choose between the redirect of full website or a specific page. The plugin also provides useful analytics tool, which allows you to see how many users were redirected, what type of device and mobile platform did they use. Ninja Kick Contact Form is a fully functioning form generator for WordPress. The way this form works is very unique compared to your average contact form. This form is convenient, fast and slick. Add floating buttons to your site to give people the option to build trendy contact forms for any site. You can add unique icons, media portals and choose from a wide range of animation effects. Invoke your users with style with this premium WordPress contact form plugin. Ajax Search Pro was built to provide users with the fastest search experience. Live Ajax searching makes great use of the WordPress search engine. This plugin provides the option to present flat images that quickly load once they are fetched. The search works great with mobile devices on both iOS and Android Platform. Return posts, custom post types such as WooCommerce products, Forum topics, user messages, users, and more. It integrates well with social plugins like BuddyPress. Mapplic makes it easy to transform a photo map or vector graphic map into a functioning interactive map. It is optimized for mobile devices, supporting swipe and touch features. You can also stop searching in the middle of a query, which is quite a handy feature for browsers who have already found what they are looking for before the search is up. Formats that are supported are JPG, PNG and SVG. This plugin comes with built-in maps and lets you add unlimited landmarks. It is a very current and advanced system for building custom maps within WordPress. This mobile friendly plugin allows the creation of custom slideshows and CSS banners with images, videos, HTML content with interesting animation effects. Royal slider is a responsive image gallery plugin with some useful features. Generate dynamic content from social media sites like Flickr and Instagram on featured posts. You can also build slides with WooCommmerce products or any other custom post type. Royal Slider helps WordPress users create stunning slides that are built with the best CSS3 and HTML5 practices. You can also add video galleries with content from YouTube and Vimeo. Create an attractive grid of various different types of media to build portfolios and galleries. Media Grid is unique in the fact it lets you create responsive grids with custom filters. The built-in masonry style layout looks attractive and this plugin works nicely on mobile phones and tablets. You can also create custom layouts and wrap them in any sort of container. It is optimized for mobile and responsive themes. This media grid is a great way to aggregate content from your favorite sources. Build fully responsive touch enabled grids with this WordPress plugin. Grid Accordion combines the functionality of a grid and displays it the style of an accordion. With fast caching this plugin offers users with a pleasurable interactive experience for visitors. Built for WordPress and JQuery, you can create modern, interactive accordion grids for WordPress. Clickable slides with cool animation effects can add lots of fun to your website and really make things pop. Lazy load times help full resolution slides with multiple layers quickly come up on your visitor’s screens. Optimize your site with Grid Accordion to add a current feel that does not take forever to load. TapTap is a newer mobile first plugin. This flexible menu is supposed to work well on any site type of site no matter how big or small. There are many options available to build rich menus. Choose to customize font size, fonts, typography, colors, background, positioning or anything else you can think of. This one is a real time saver that allows you to create unique menus. This is a newer plugin so watch out for bugs. It has been coming along nicely and the developers have been responsive to customer suggestions.